Answered: Do Cruises Charge For Babies? One of the nice things about traveling with a baby? While they can be a handful to keep entertained and happy on a trip, most travel companies don’t charge extra for them to join. From airlines to hotels, your baby can travel free without an upcharge. Even theme parks usually let your kids under 2 years old in for free. It makes sense, after all. It’s not like a baby takes up the space of an adult on a flight or is going to be using many of the amenities offered at a theme park. But what about cruise lines? Do cruise lines charge for you to bring your baby? Unfortunately, the answer is usually yes. Most cruise lines charge for regular rates for babies to travel with you, no matter their age. However, there is some good news for parents bringing toddlers. Babies are sometimes available for discounts or waiving of tip amounts. The policies toward rates for babies can be complex and vary by cruise line. To give you the most complete information, we’ve broken down the policies of the major cruise lines below. Carnival, the world’s largest cruise line, charges for all kids and babies as they would anyone else. However, since a baby is almost always the third passengers in a cabin, they are usually charged a lower rate than the first two passengers. For instance, a recent search for a cheap getaway found rates of $309 for the first two guests in a cabin, but a much lower $109 for the third passenger (such as a child traveling with family). Carnival also waives gratuities for passengers under two years old. Royal Caribbean charges the same prices for a baby to sail as any other passenger. However, third and fourth guests in a stateroom are charged a discounted rate — whether an adult or child. So a family traveling together will pay a discounted rate for a child if they are a the third person in the cabin. Unliked Carnival, Royal Caribbean charges gratuities for all guests of all ages. Note: Royal Caribbean does run occasional sales where kids can sail free. For a time, Norwegian Cruise Lines stood out because they did not charge for babies. That policy changed a few years back. 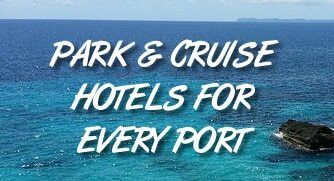 Now the cruise line is similar to others in that and now the line charges regular rates no matter the age of passenger. Like the others, however, the additional third and fourth passenger sailing in a cabin receive a lower rate than the first two passengers. Yes, even Disney charges for small children on their cruises. The good news is that it is a much reduced rate from the regular rate charged for two adults. For instance, a recent search for a cruise saw rates of $1,172 for each of the first two adult passengers, and a rate of only $357 for children. Have more questions about sailing with a baby? Click here to read our complete guide.